Let’s face it, making new friends can be quite challenging. Now imagine making friends in a place away from your home--like France, for instance. A place where natives have a reputation for being snobs, the language is tricky, there’s a lot of cultural differences, and the opportunity to meet people let alone befriend them seems few and far between. Learn how to keep those new friends you meet. 4. Join "fête des voisins"
​First and foremost on the list is social media. With everyone’s faces glued to their screens nowadays, it’s inevitable that you should find a treasure trove of friend-making possibilities in Facebook, Instagram, Twitter, and other social media sites. Join Facebook groups of people based in France, find relevant hashtags in Instagram, check Facebook events near you. Your people are there and it may take just a few clicks on your mobile phone to find them--who knows? Aside from social media, there are also plenty of sites such as meetup.com where you could meet new people that might just end up as new friends. French websites such as https://www.lebonbon.fr/ can be great for scouting interesting events and fun things to do. You can also go the Tinder path and similar dating sites if you like. Just specify that you’re into platonic relationships and not hookups (or up to you really). If you want something different, try the Jumpin app which gives a group of ten people the chance to meet in different cool spots. Now that we have gotten the virtual methods of finding friends out of the way, let’s go old school style. In France, town halls often hold local activities such as fetes and sports events. It pays to visit your local town hall and find out about upcoming events. You might meet your new French BFF there! Founded in 1990 by a group of friends, La Fête des Voisins or The Neighbors’ Party/ The Neighbors’ Day was created to fight off against isolation in big cities in France. Each year, different neighborhoods and Town Halls participate in this event. Aside from being a venue to get to know your neighbors and become friends with them, this movement has also undertaken different lofty goals such as sponsoring neighbors who are experiencing difficulties, providing services for job search/ disabled people/ day care. If you’re in France to study in some university, university events can be a great way to meet new friends. Just don’t be afraid to sign up to events and make an effort to show up. Meeting friends takes a whole lot of effort and you know it. ...or whatever activity you fill your time with, there’s bound to be a local club nearby. So better do a little bit of sleuthing and find out where and when you could sign up. Having similar interests is a proven and tested way of meeting new people and maintaining friendships, so yay! 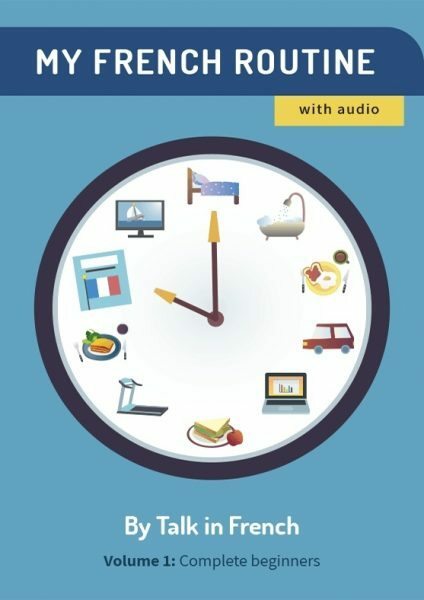 Another great way to meet French people in France is through language exchange--you’ll be able to practice your French while they practice their English with you! Language exchange events often lead to exchanging numbers so you could hangout outside the event. That just might turn into friendship, eh? Maybe you’ve always wanted to learn a particular skill. Cooking? Pilates? Poetry writing? Take a class. It’s also a great way to make local friends. There are a lot of lectures, conferences, and tours happening every week especially in big cities like Paris. Grab the chance to join them and get to know new people! These events could be held in museums or other local spots. Make sure to check out Le Figaroscope to keep abreast of upcoming activities. Clubs in general are not a great place to meet new friends. I mean, how can you talk over the loud music? Besides, let’s face it, your standards after you’ve had a few drinks too many might not be at par with your usual. Bars on the other hand might be better suited for making friends. Bars often have a set of loyal patrons who find themselves in the same place regularly to hang out or de-stress with a glass or two of wine. To up the chances of making friends even higher, choose themed ones that are suited to your interests. This could be jazz bars, book-themed bars, 90s bars, sports bars, and so on. Another one similar to the previous suggestion, but this time, a cafe. The entire France is dotted with thousands and thousands of cafes. Now all you gotta do is pick one that is convenient to you, and one that you enjoy visiting. Pretty soon you’ll be a “regular” and would eventually hit up a conversation with the other usual folks. If you’re working in France, chances are you already have a built-in group of people you see everyday---your co-workers. Co-workers can turn into good friends though with French people it may take time and a savvy understanding of their culture to be able to do so. Check out this Guide to French Business Etiquette to help you navigate the corporate world in France. Do you have existing friends who are also in France at this moment? Reach out to them! 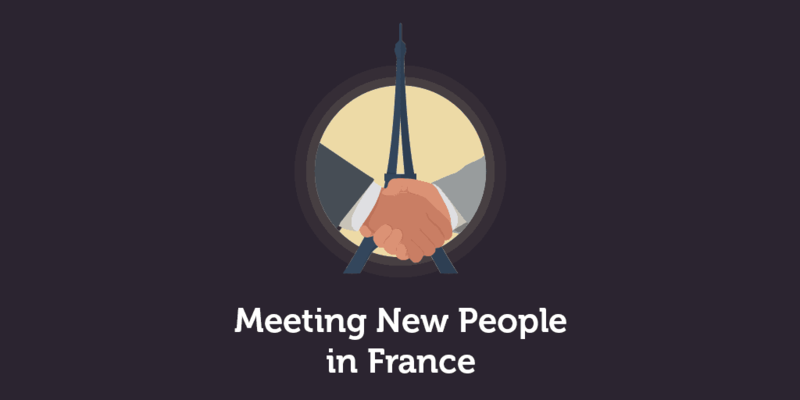 Your friends may be able to invite you to parties and gatherings and introduce you to French people in their circle. Now this one might seem manipulative and contrived, but if you have a pet dog, you’ll find that French people might warm up to you easier. France is a nation of dog lovers, and dog owners have this natural tendency to stick together. So if you have a dog, take her out for walks and have a nice chat with other dog owners who are also out with their furry friends. Does that sound like you’re using your dog to make friends? Well, your dog uses you for food and shelter so it’s an even exchange. Okay, okay, I’m kidding. Don’t hate me. Now that you have done the first step in meeting new people and making friends, don’t just sit on your laurels. Keeping friendships is waaay harder than meeting people. Everyone’s busy and preoccupied with life in general, so it takes effort to keep your friendships with French people. Be mindful of cultural differences. Don’t make a non-negotiable mistake with your French friends. Avoid cultural faux pas with the help of this article: 45 Things You Should Know About French Taboos. Learn what to do and what not to do when in France. This article was written for tourists but it should be a good guide for non-natives, too. 10 Tips on What to Do and What Not to Do in France. Make an effort to invite friends over. If you got invited to a friend’s house, make it a point to invite your French friend over, too! It’s only polite to return the favor. Plus having them over to bond over good food would be a great way to nurture friendships. Keep in touch. Send a message every now and then to ask what they’re up to--but don’t be extra rambunctious and clingy! The French are quite reserved, so act accordingly or risk turning off your new friends. Learn some good conversational skills. French people are often opinionated and good conversationalists. So it’s time to step up your conversation game! Read the news, brush up on culture topics, and have a solid grasp of topics you plan to discuss. You should be able to defend your position because the French love to argue! I hope that with this article, you’ll be better-equipped to find new French friends of your own. Want more tips like this? Subscribe to the Talk in French newsletter. Every week I answer questions related to French language and culture. You may even ask me questions if you like, by emailing contact@talkinfrench.com. To subscribe to the weekly newsletter, you can sign up below.